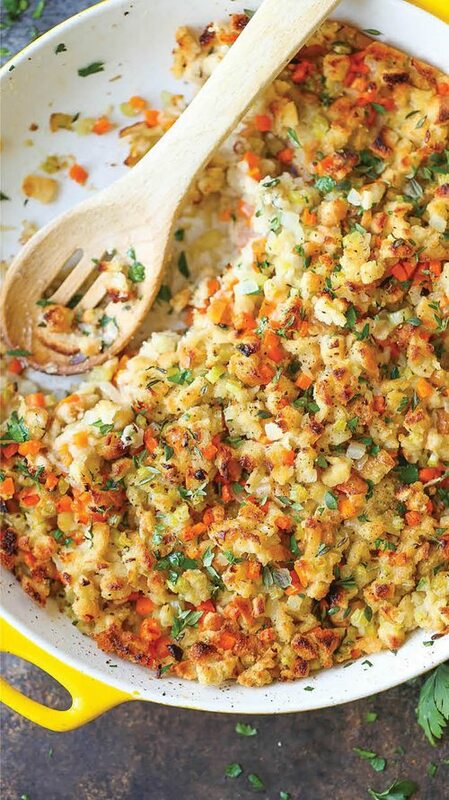 Let’s be honest for a minute, Thanksgiving side dishes steal the show from the turkey. Sweet potato casserole, garlic mashed potatoes, acorn squash. My mouth is watering just thinking about all that delicious goodness. Thanksgiving is my husband’s favorite holiday. And what’s not to love, really? Food, football and of course Black Friday shopping. But lately I’ve just opted for food, football and online shopping. 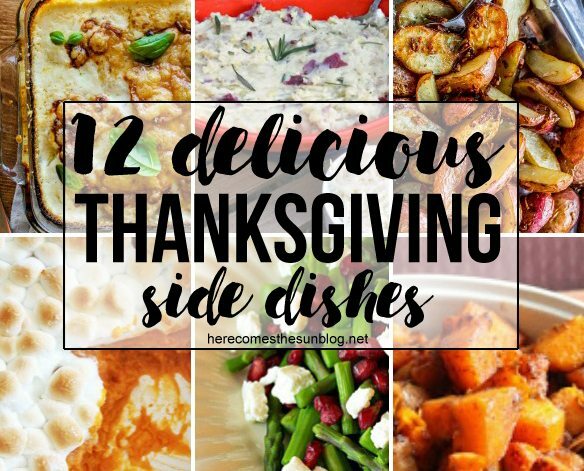 I would fill up on side dishes if I could but the turkey deserves some love too I suppose. 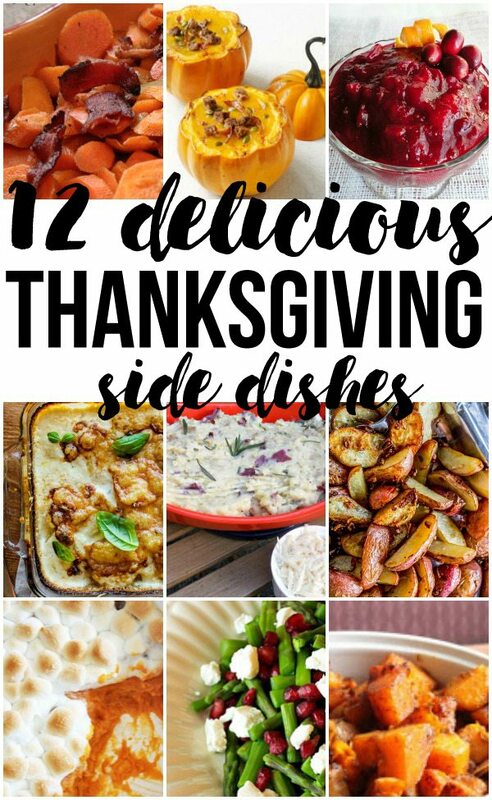 I’ve gathered together 12 Delicious Thanksgiving Side Dishes for you to choose from on Thanksgiving Day. I know that some of these will be on my table for sure! Psst…Don’t forget to scroll all the way to the end because you don’t want to miss what I have for you! 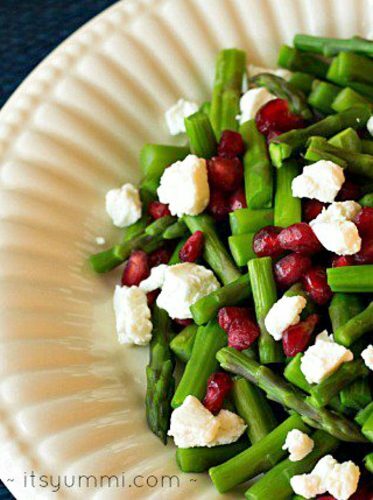 Asparagus is one of my favorite side dishes. This jeweled asparagus looks delicious. 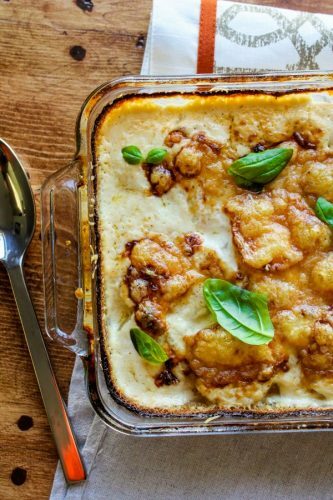 Try these Gruyère-Crisped Potatoes Au Gratin instead of the traditional mashed potatoes. 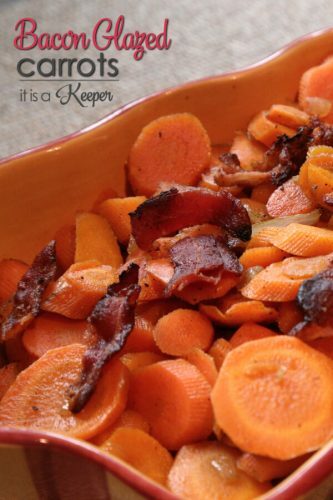 Bacon Glazed Carrots .Enough said. 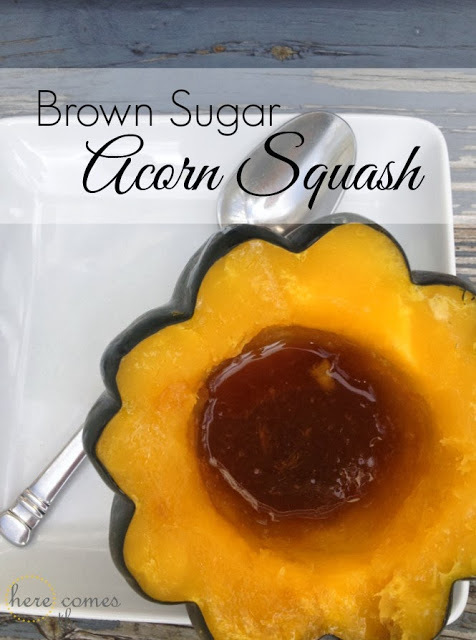 My mom served this brown sugar acorn squash at every Thanksgiving growing up. 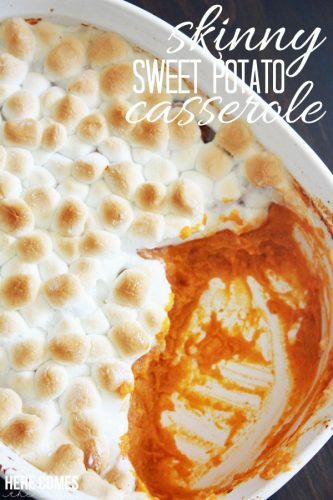 Skinny sweet potato casserole? Yes, it’s possible. My mom always forgot at least one thing every Thanksgiving. It was usually the cranberry sauce. 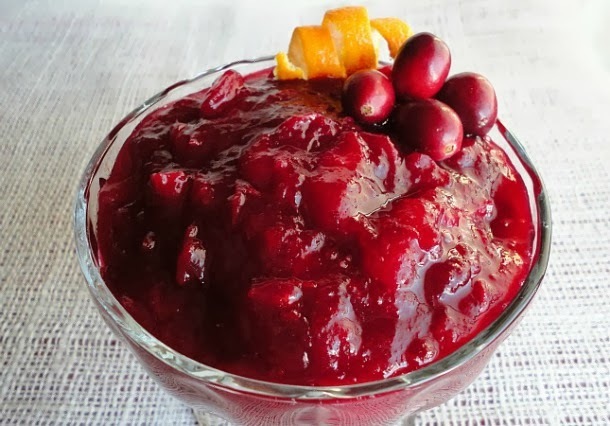 This cranberry apple sauce is a twist on the classic. 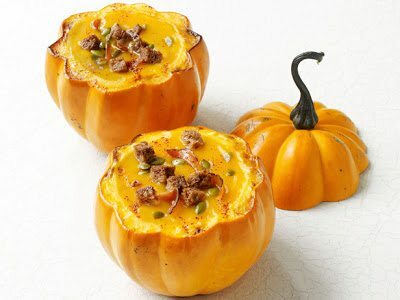 Have you ever paired squash and apples together? 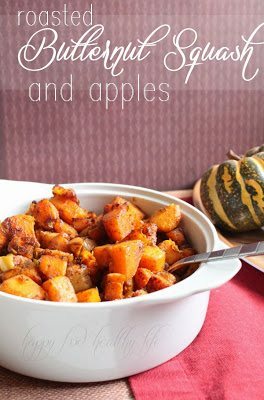 This roasted butternut squash and apples looks amazing. 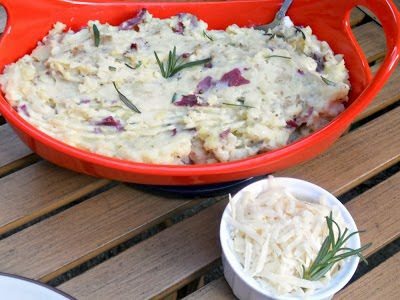 Rosemary mashed potatoes are always a hit. 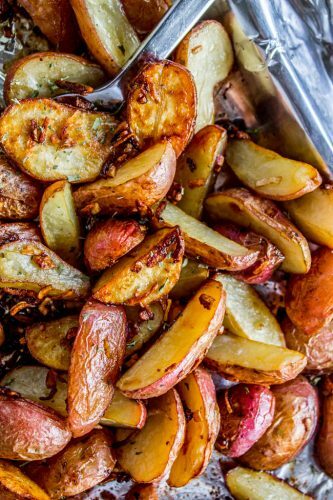 Add a twist to your potatoes with these roasted potatoes with crunchy onions. 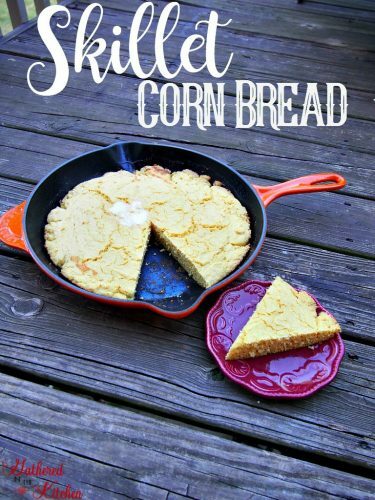 Cornbread is a staple at any Thanksgiving. 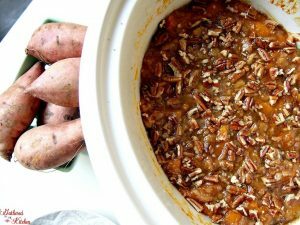 Use your crock pot for this sweet potato souffle. Ready to get organized for Thanksgiving? The Ultimate Thanksgiving Planner will help you schedule and pull off the perfect Thanksgiving holiday! I am a classic Mashed Potatoes and Gravy kind of girl! But the Zucchini and Mozzarella dish you shared sure looks awesome too! Okay now I am hungry!